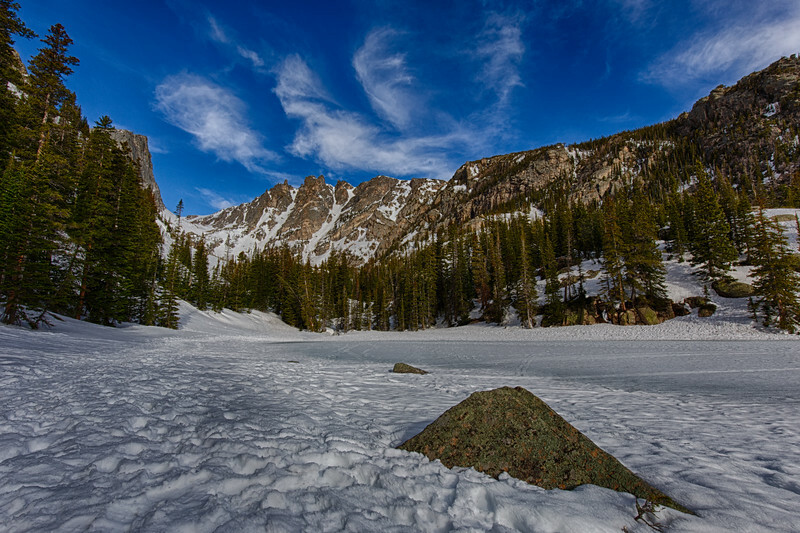 "Dream Lake, Rocky Mountains - 17 April 2017"
Still frozen over, Dream Lake waits for the longer, warmer days of summer. Withion a few weeks, its waves will be sparkling, and trout will be rising to hatching flies and larvae. Rocky Mountains National Park, Colorado, USA.